I’ve loved silent comedies ever since I was first introduced to Charlie Chaplin’s Modern Times during an American literary history survey course in college. Modern Times still ranks as one of my favorite movies of all time. I’ve branched out from then, developing an appreciation for Harold Lloyd and Buster Keaton (who I may actually like better than Chaplin), but I’ll always hold a candle for the Little Tramp. The Edison Street Organ Loft is probably the best-kept entertainment secret in Salt Lake City. The girlfriend and I went there on Friday night to catch a Chaplin double-feature: The Idle Class and A Dog’s Life. The last time we went to the Organ Loft, we had trouble finding a good seat, so we made sure to arrive plenty early this time. To keep ourselves entertained while waiting for the movies to start, we worked on a crossword puzzle on the girlfriend’s phone. A little blonde girl, maybe six years old, peeked at us over the back of her chair. Her mother sat next to her. The door now opened, we made conversation. Her name was Sariah, and we quickly became her best friends. We showed her our crossword puzzle, and she quickly said she knew how to do those. “Stephen does,” my girlfriend volunteered. Of course, she wasn’t actually talking about dental hygiene. And thus an impromptu dance lesson broke out in the aisle at the Organ Loft. The conversation eventually fragmented. Sariah’s father, a literature professor, showed up, and he and I began to talk about the narrative hidden in every research paper while Sariah continued to chat with the girlfriend. They grew so attached that Sariah moved back to sit with us during the movie, which she spent cuddled up under the girlfriend’s arm. It was a cute experience, but it’s hard for me not to feel a little resentful. I mean, dates go to movies to have an excuse to cuddle. I wanted to cuddle with the girlfriend. Anyway, Chaplin’s great. The end. I harbor a lot of mistrust towards anything that purports to be “non-fiction.” If I know you’re lying to me, I can figure out what you’re trying to say. But if you say you’re telling me the truth, then I’m immediately suspicious. Thus, you’d expect that I wouldn’t go out of my way to catch a limited-release documentary – and you’d generally be right. However, we’re talking about Fred Rogers here, the closest America has ever come to producing a universally-acknowledged saint. The man has a reputation for being one of the kindest, most sincere individuals to ever rise to public prominence. I guess I was looking for a little kindness and sincerity. I don’t have enough of a reference pool for documentaries to know if this one is a good one, so if you’re here for deep, insightful film criticism… I mean, I liked it. Of course I did. Go see it. See it twice. Take your dad. He misses you. I didn’t come away from Won’t You Be My Neighbor? trying to figure out what it was trying to sell me on. I didn’t walk away looking for inconsistencies, or questioning whether everything I just saw actually happened, or if the subjects interviewed really believed what they said about Fred Rogers. I came away questioning MYSELF, more than anything. And I found myself wanting. I’m not sure he ever felt like he succeeded in that ministry. In one of the most striking moments of the film, Rogers questions whether the good he does is enough. In the wake of 9/11, he sees the immensity of evil in the world, and, for a moment, he feels defeated. Sure, he pulls together in the end and delivers a hopeful message, just as we all knew he would, but that doubt was there. At the end of his life, Rogers questioned, “Am I a sheep?” Meaning, will I be saved, or will I, like the goats, go to hell? Was my ministry enough, or did I disappoint my creator? I don’t know that I have ever related to a cultural icon more in my life. I know, objectively, that my little corner of the world is in better shape than it’s ever been before. However, I see so, so many problems, and I feel this great desire to try to do something about them, fix them. And it never, ever feels like its enough. Thus, I feel like a failure. Like so many people do. Like Fred Rogers did, despite all his extraordinary success. What can you do? It seems apparent to me, reading this now, that I waited a few days after seeing Won’t You Be My Neighbor? before writing. Coming out of the theater, I felt cheery and uplifted. Today, however, I feel worn down, tired, and frustrated. And that’s shaped my perspective on the film more than a bit, I’m sure. Do whatever good you can, wherever you can, however you can. Bolster the fearful. Comfort the mourner. Stand by your friends, and have patience with those you disagree with. And, seriously, call your dad. Don’t make me ask you again. This Is the Greatest Show? This Is? THIS Is? I’m a big fan of the movie musical renaissance we’ve been experiencing over the past few years. You can tell I’m a fan, because I call it a “renaissance” even though we only get one of these big budget productions every year, discounting that magical time when both Annie and Into the Woods ran in theaters at the same time. You can also tell I’m a fan because I keep going to these movies, even though they’re… well, pretty bad, most of the time. Nobody complains about anything quite like fans do. But that’s pretty much the way I feel about musicals in general. Musical theater has pretty much always been a style over substance genre. Put a gun to my head and demand I name five musicals that have more to offer than sparkly production values, and I’ll probably just say Hamilton five times and hope you don’t notice. So imagine my surprise when I went to see The Greatest Showman the other night and discovered, to my absolute delight, that this movie musical is divinely and spectacularly… fine. It’s… it’s fine. The Greatest Showman stars Hugh Jackman as P.T. Barnum, a cancelled Silent Hills project… I mean, a devoted husband and father who struggles to keep his woman in the manner to which she has become accustomed by putting on shows, which employ all sorts of people who have been ostracized by society. Even though he takes his performers for granted, Barnum eventually recognizes that, through his circus shows, these men and women have found a place to call home and a group of people who accept them as they are. And, look, I get that there’s significant value in advertising the theater as a place where all are welcome. It’s one of the things I love most about theater. I still get choked up a bit thinking about that time James Corden hosted the Tony Awards. I’ll even admit that using rare genetic conditions as a metaphor for the “outsider” status that tends to follow so many who find solace in the theater is, though a little clunky, not actually a bad idea. But there are definite issues with telling that kind of story using P.T. Barnum as your protagonist, especially when you consider that the people Barnum employs were shunned due to their physical abnormalities, like being a woman with a beard, or a being only three-foot-tall, or… being… black. This is kinda messy, because P.T. Barnum was a real person with a… complicated relationship with race. 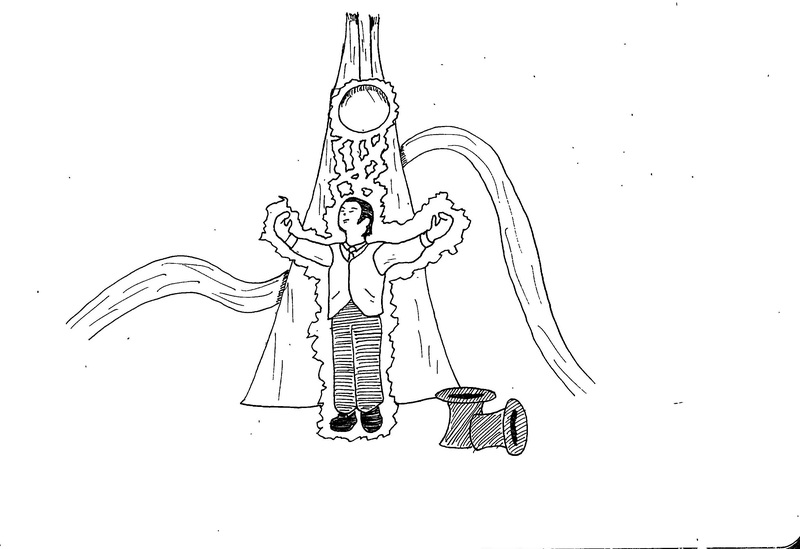 The Smithsonian published a pretty detailed discussion of Barnum’s rise to fame, which involved fewer wax dummies and more slaves. One slave, in particular: Joice Heth, an elderly woman who, Barnum claimed, served George Washington. She was old, but not that old. Barnum toured with Heth, making his outlandish claims pretty much right up to the day she died. Then he sold tickets to her autopsy. It feels like The Greatest Showman wanted to address Barnum’s early racism, but it didn’t know how to do so without making him more unsympathetic (and you don’t want to do that – Hugh Jackman needs to be sympathetic). So they decided to address racism by having Barnum’s partner, Phillip Carlyle, fall for one of the black performers, Anne Wheeler (played by Zendaya). Which would be a fine solution, I guess, if either of those people actually existed. Which they don’t. This is why I have trust issues. In a year where there was so much debate over preserving our history, be it good or bad, that a movie “inspired by a true story” would try to ignore the less salient aspects of Barnum’s life. Especially since they probably didn’t have to. Where’s my movie about THAT guy? I’m picturing Lincoln, but with jugglers and The Tattooed Man. The Greatest Showman does have some good stuff to offer, in particular a wonderful performance from Jackman and some of the best dancing I’ve seen in a film… pretty much ever. But I can’t help thinking that it’d be a stronger film if it were about Peachy Buckingham, pretty fictional circus boy. And then we could get a serious, Oscar-worthy film called Barnum: The Spectacle of Conscience. Starring Javier Bardem. As I’ve been doing Inktober, one of the things I’ve focused on is making sure my drawings get done quickly. Generating 30 sketches in a month is not easy for skilled artists, much less amateurs with a mechanical pencil and a copy of Bridgman’s. As a result, sometimes things that have a very detailed and mechanical appearance – like, say, the strange machinery from a particular movie about magicians – get turned into something much less intricate, like… a waterfall, I guess?